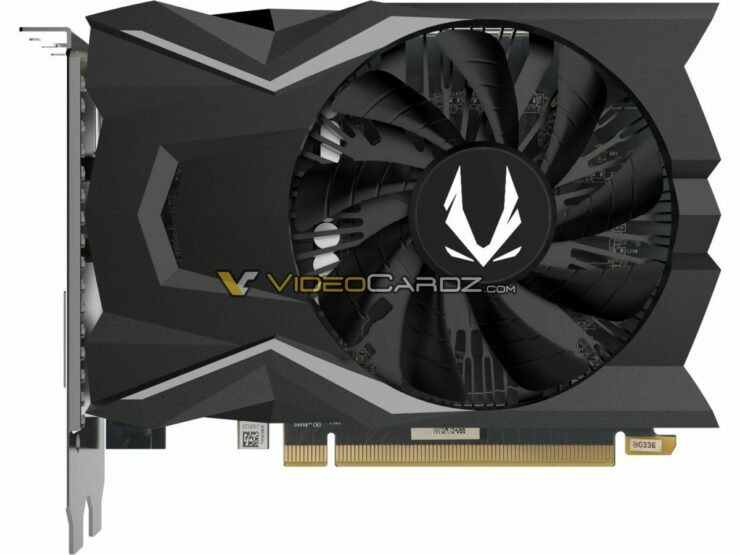 The first custom models of NVIDIA’s upcoming Turing based GeForce GTX 1650 graphics card have leaked out by our friends over at Videocardz (ZOTAC / Gainward). 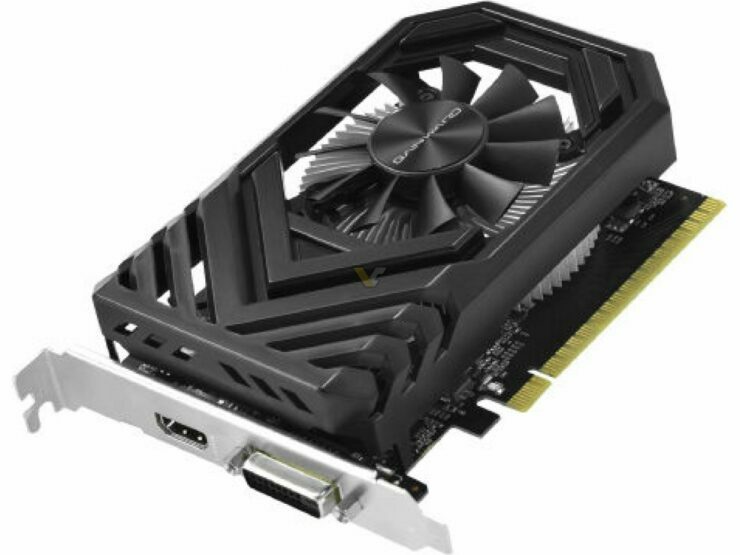 The new graphics card will be the latest entrant to the GeForce 16 series lineup which re-introduced us to the GeForce GTX branding while featuring the new Turing architecture features such as enhanced shader performance. 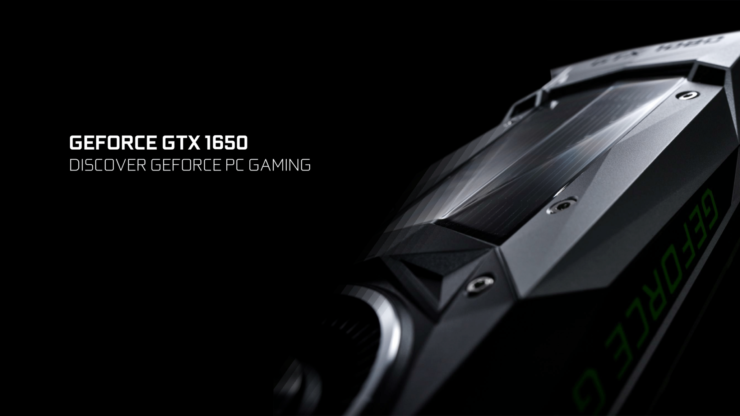 So starting off with the details, the NVIDIA GeForce GTX 1650 has been known since the very first 16 series cards were confirmed. 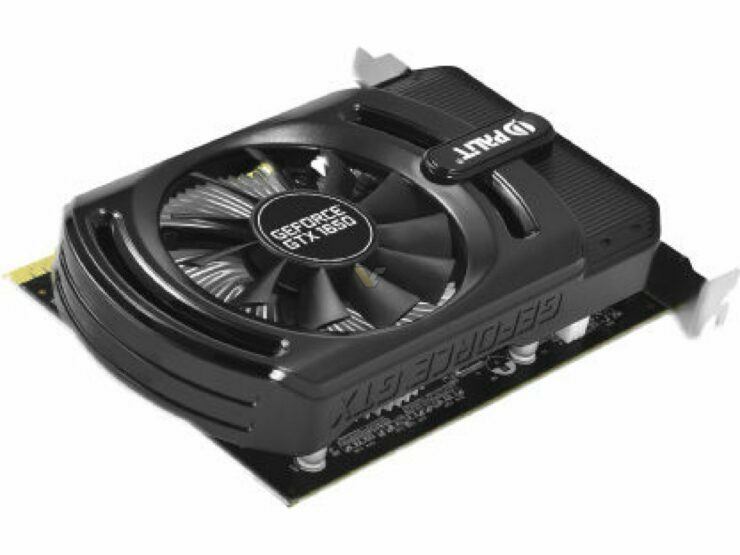 The GeForce 16 series has since then received the GeForce GTX 1660 Ti and the GeForce GTX 1660, both of which have been widely praised to offer exceptionally good performance at their respective price points while maintaining NVIDIA’s efficiency lead over competitors budget-aimed mainstream options. 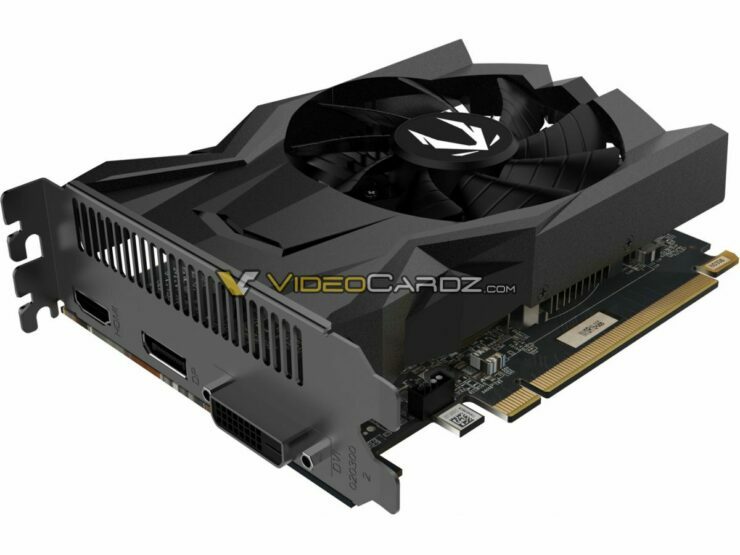 The NVIDIA GeForce GTX 1650 would be the next card which will make its way to the family and feature a new Turing GPU SKU with more cores than the GeForce GTX 1050 (Ti) but performance almost as good as the GeForce GTX 1060 3 GB as earlier benchmark leaks suggest. 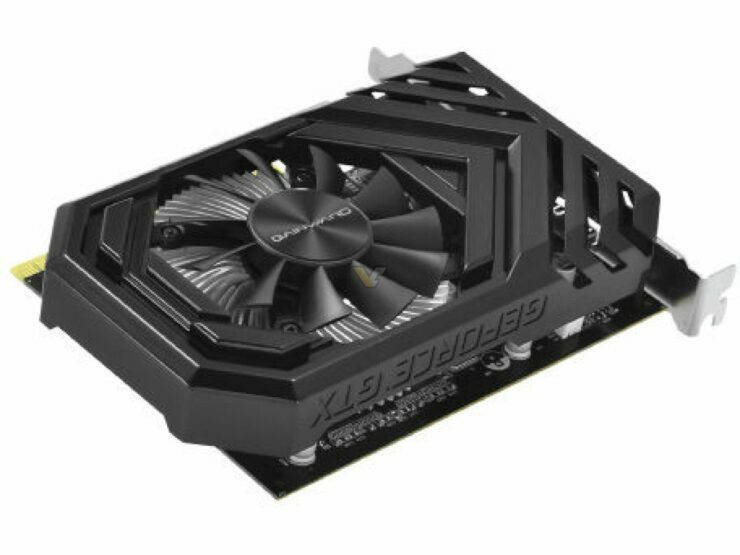 The card is said to feature clock speeds of around 1395 MHz base and 1560 MHz boost but custom models will be operating at much higher clock speeds out of the box. The memory would be 4 GB GDDR5 that will operate across a 128-bit bus interface. 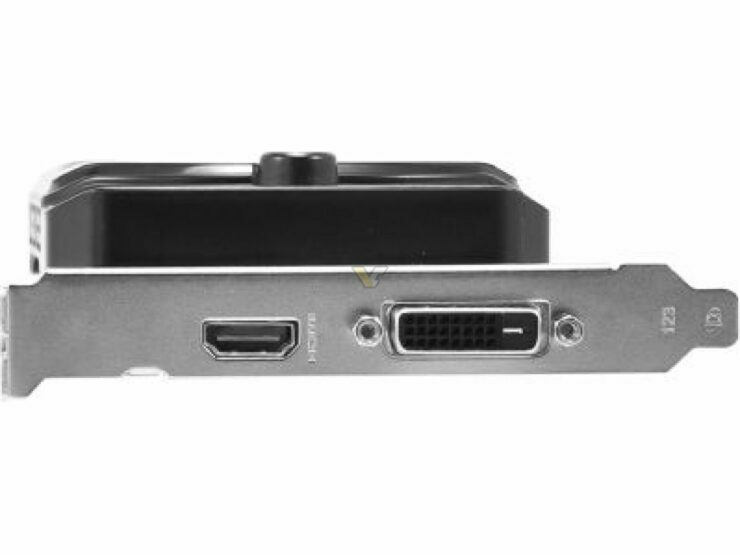 It looks like the speculation that the card wouldn’t require any PCIe power connector boot turned out to be correct as the leaked models compiled by Videocardz show that none of the cards would require an external power source to boot and get its power directly from the PCIe slot. 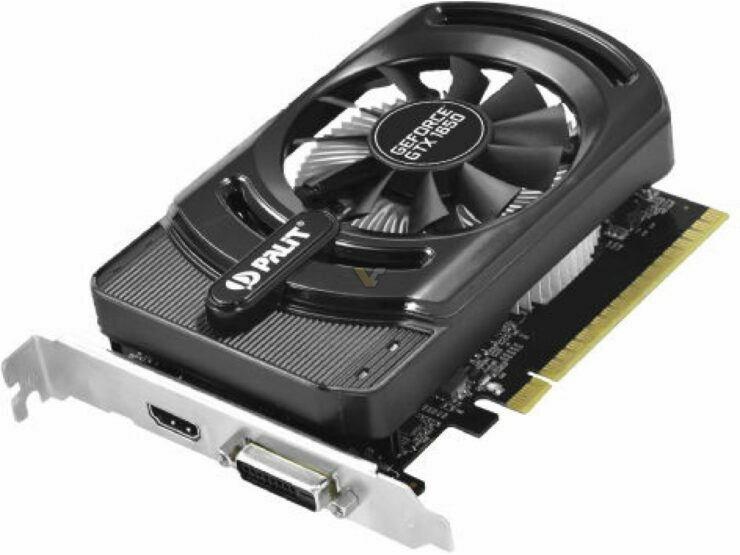 This would suggest a sub 75W TDP which has been the standard for **50 series GeForce graphics cards. 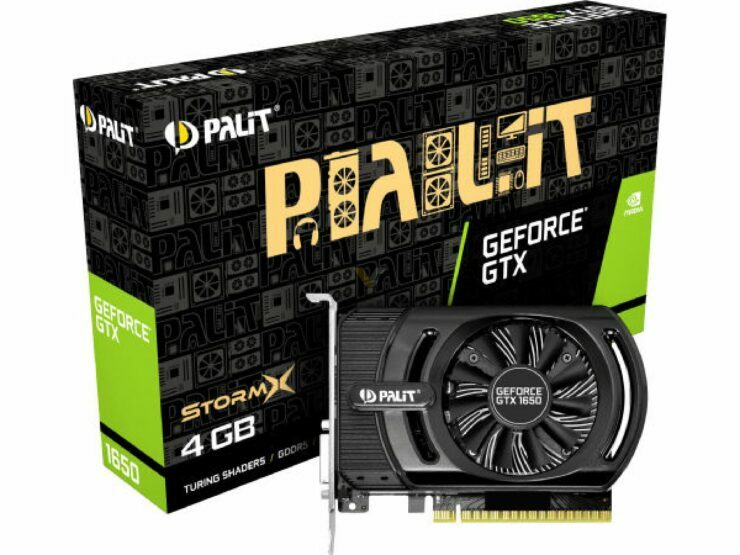 The models from Gainward, Palit, and ZOTAC are discussed with the Palit GeForce GTX 1650 STORM X operating at clock speeds of 1725 MHz while the Gainward GeForce GTX 1650 would operate at a clock speed of 1665 MHz (Boost). 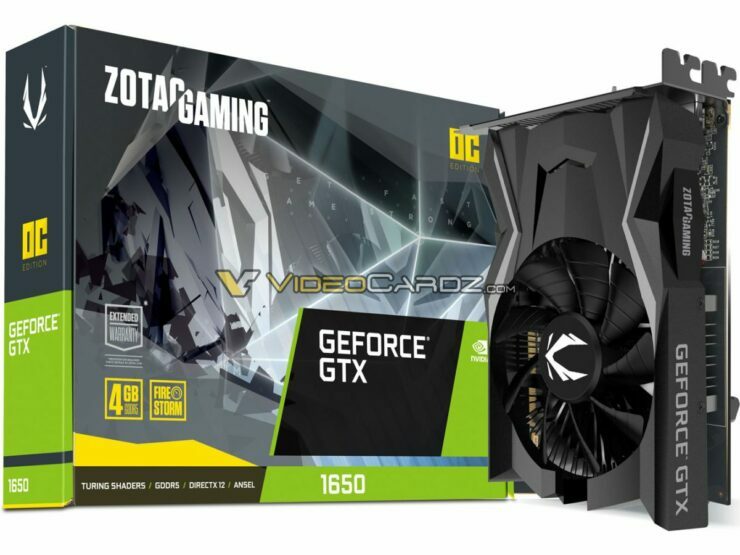 The clocks for the ZOTAC GeForce GTX 1650 are not known but all models have one thing in common. All custom models feature a small form factor design with a single fan cooling the internals. The Gainward and Palit model comes with a single-slot design although the cooler is dual-slot in width. 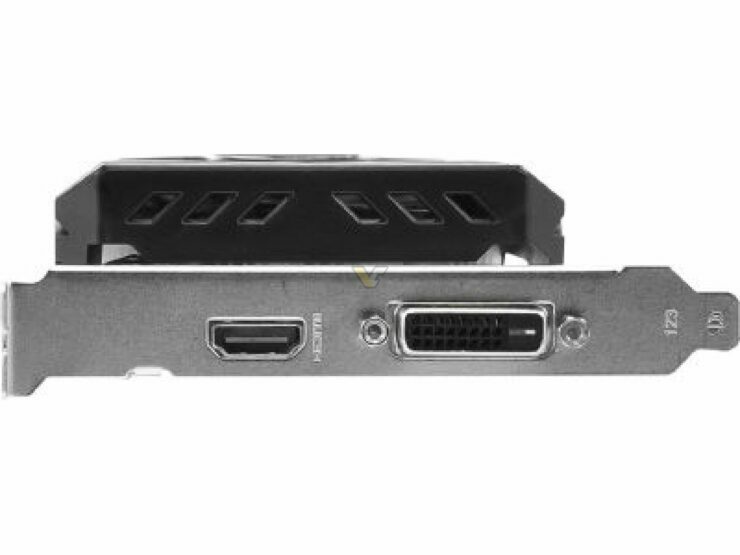 The single slot designs have a single DVI and HDMI output while the ZOTAC dual-slot design has an additional, full-length display port. 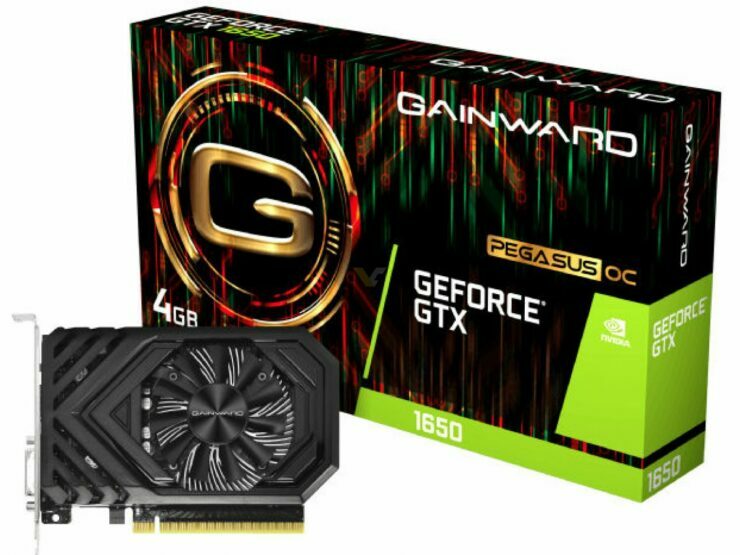 There’s also the ASUS GeForce GTX 1650 which has been revealed by the original source of the Palit and Gainward leaks. Credit goes to Roland Quandt for finding out these cards and sharing them with the public prior to the release. 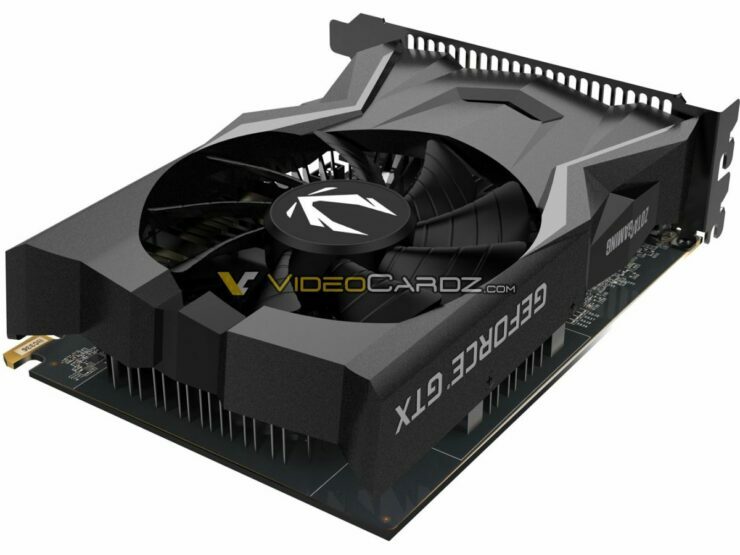 The GeForce GTX 1650 is supposedly launching on 22nd April which is two weeks away from now so we would probably hear more information including the core count and performance numbers in the coming days. 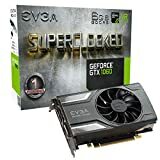 If you were to choose a graphics card under $200 US, which would be your choice?